The Pacific women's volleyball team will play its final home match of the season on the road due to extended campus closures through Wednesday morning. The Tigers will travel to San Francisco Tuesday, Nov. 20 to take on the Dons at the War Memorial Gym. First serve is set for 7:00 p.m. Admission will be free for the event, but Pacific will be accepting donations for the victims of the Northern California wildfires. 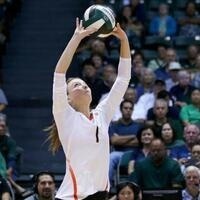 Streaming and live stats links for Tuesday's match can be found on the Pacific Women's Volleyball Schedule page.